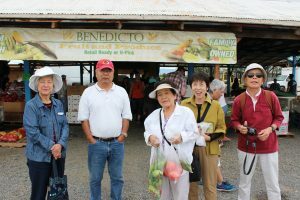 2018 Kumamoto Kenjin Kai Summer Family Picnic! 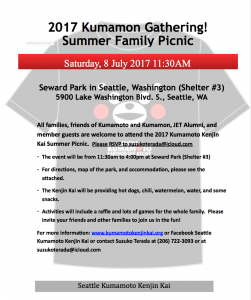 The 2018 Kumamoto Kenjin Kai Summer Family Picnic will be held on Saturday, 7 July 2018 from 11:30AM to 4:00PM at Seward Park Shelter #3 in Seattle, Washington. All families and friends of members, along with JET alumni, are welcome to attend and have a wonderful time. The picnic is family friendly and especially geared toward families with young children. This entry was posted in Kenjin Kai Activities on April 8, 2018 by Administrator. 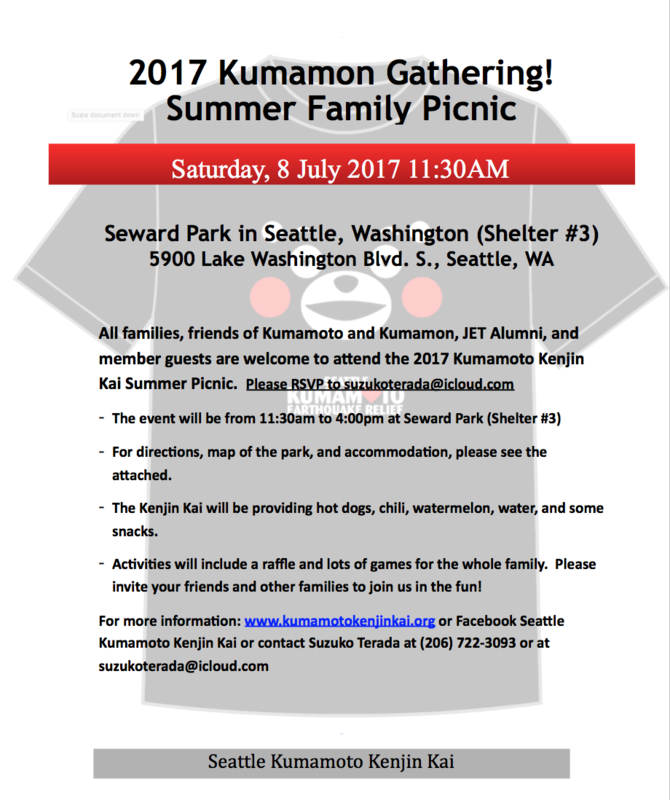 The 2017 Kumamoto Kenjin Kai Summer Family Picnic will be held on Saturday, 8 July 2017 at Seward Park in Seattle, Washington (Shelter #3). The address for the park is 5900 Lake Washington Blvd. S., Seattle, Washington. 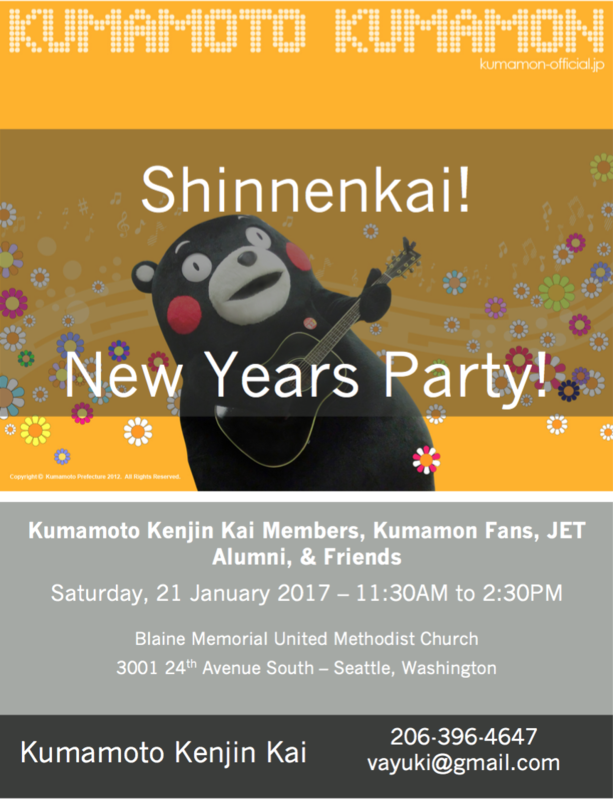 – All families, friends of Kumamoto, Kumamon, JET Alumni, and member guests are welcome to attend! This entry was posted in Kenjin Kai Activities on July 1, 2017 by Administrator. If you would like to follow along the New Year Party Program, please download the PDF here. This entry was posted in Kenjin Kai Activities on January 21, 2017 by Administrator. The Seattle Kumamoto Kenjin Kai is proud to announce that the registration form for graduating high school seniors is now available for download. In order to be eligible for this gift, the graduate must be a member or a descendant of an active Kenjin Kai member. Membership forms for registration purposes can be found on the website. Save the Date! Annual Kumamoto Kenjin Kai Shinnenkai “New Years Party” – Saturday, 21 January 2017! 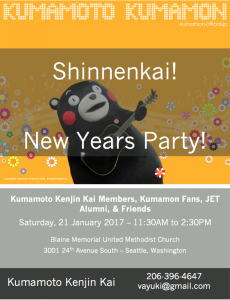 The Annual Kumamoto Kenjin Kai Shinnenkai “New Years Party” will be held on Saturday, 21 January 2017 at Blaine Memorial United Methodist Church located at 3001 24th Avenue South in Seattle, Washington. The event will start at 11:30AM and conclude at 2:30PM. All Kumamoto Kenjin Kai Members, Kumamon Fans, JET Alumni, and Friends are welcome to attend. Registration information to follow. Download and share this flyer with your family and friends! This entry was posted in Kenjin Kai Activities on September 20, 2016 by Administrator. Donate to the Seattle Kumamoto Kenjin Kai by Shopping at Amazon! As of August 2016, the Seattle Kumamoto Kenjin Kai is happy to report that the funding raising effort to support the Kumamoto Earthquake Relief and Recovery effort has raised over $1,200,000! 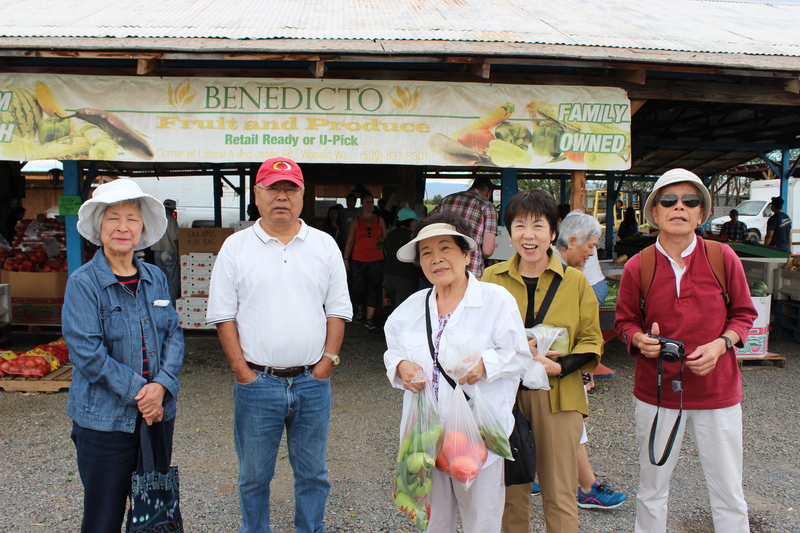 All funds collected by Peace Winds America is being transferred to Peace Winds Japan who is providing direct support to impacted residents of Kumamoto. This entry was posted in Kenjin Kai Activities on August 27, 2016 by Administrator.